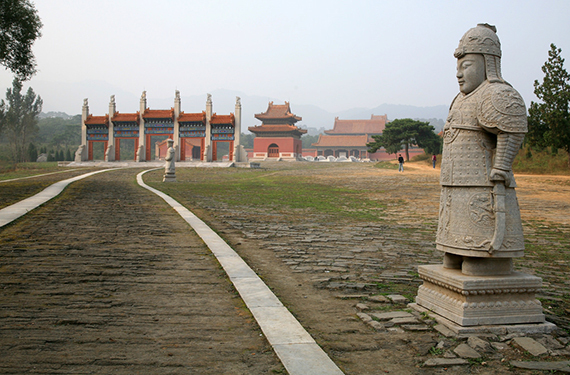 Emperor Kangxi (1654 – 1722), also known as Emperor Kang Hsi, is one of the most beloved of China’s historic leaders. In fact, he is renowned for his benevolent reign of the country, which was marked by stability, progress and development, both culturally and in terms of his people’s welfare. In stark contrast to other emperors who are depicted as warriors in military uniforms or armour, Emperor Kangxi is most commonly depicted in a gentler, scholarly manner. 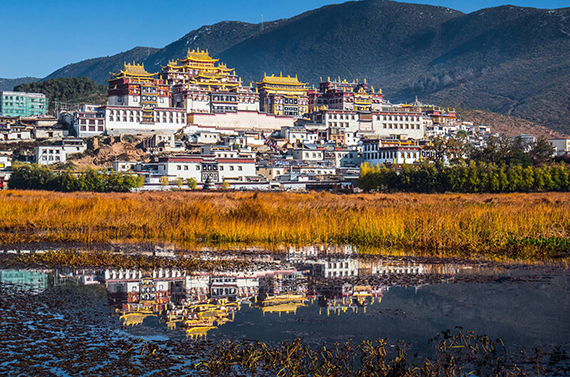 His love for the literary arts and his devotion to the Buddhist faith inspired him to sponsor many written works, temples, and monasteries throughout China, Tibet and Mongolia, including several temples on the holy mountain of Wu Tai Shan dedicated to Manjushri, the Buddha of wisdom. 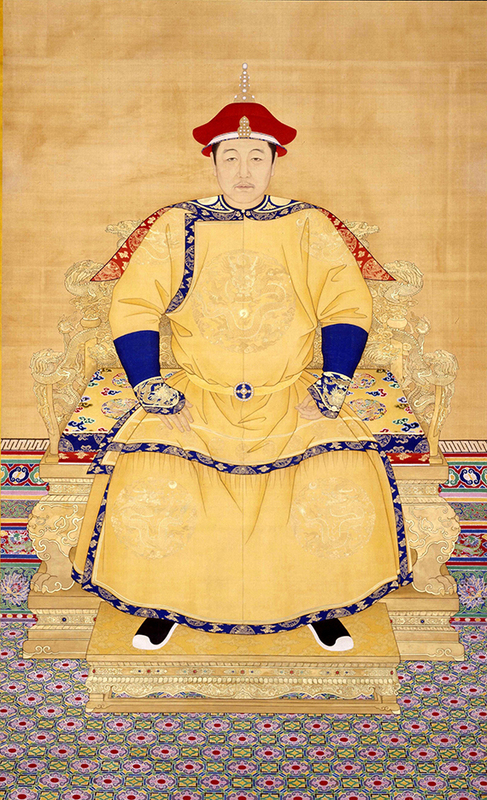 Emperor Kangxi, the son of Emperor Shunzhi (1638 – 1661), was the second and longest reigning emperor of the Qing Dynasty (1644 – 1912), also known as the Manchu Dynasty of China. Having survived a war with the Ming Dynasty, Emperor Kangxi became central to rebuilding and development efforts throughout China. His determination and humility highlighted his real love for the subjects of his empire. In fact, it has been recorded that he would spend hours and hours each day sending orders all over his territory to guarantee the improvement of his empire, even working late into the night so that his instructions could be sent off the next morning. Having ascended the Dragon Throne at the tender age of six, he was assisted by regents until he came of age. By the time he finally assumed his rightful place as emperor, Kangxi was well-versed in court politics, having grown up in the imperial court. Emperor Kangxi successfully minimised unrest and nefarious plots internally within his court and throughout the country as a whole. He then turned the attention of his people to the development of literary works such as the compilation of enormous encyclopaedias and the Kangxi dictionary. On a military level, he exerted powerful command over his generals and at the same time, showed care towards the ordinary soldiers. 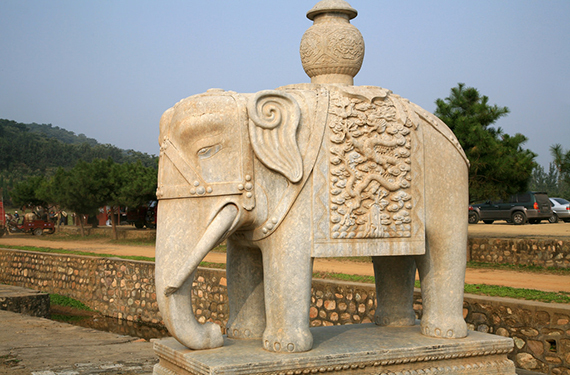 Inspired by and drawing strength from the Buddhist faith, he showed compassion for all living beings that he came across. The Kangxi Emperor is said to have been extremely humble when he interacted with his subjects. His works, attitude and compassionate behaviour earned him the position of emperor both physically and also in the hearts and minds of his people. 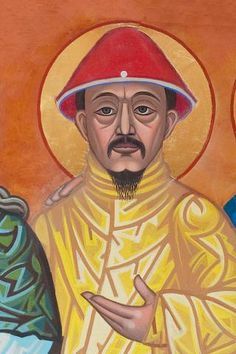 Emperor Kangxi was beloved by all his subjects, including those of the Christian faith, who portrayed him in a saintly manner. A devoted Buddhist, the Kangxi Emperor was considered progressive in his day as he gave everyone the right to freedom of religion. He is even famously remembered to have given permission for Christian missionaries to carry out their religious activities in China. He was beloved and admired by all and there are even Christian depictions of Emperor Kangxi with a saintly halo. Most incredibly, Buddhist masters have recognised Emperor Kangxi as the reincarnation of the great holy lama Tulku Drakpa Gyaltsen and as an emanation of Manjushri, the Buddha of Wisdom. Many considered him to be a special being due to his compassionate nature towards all, his determination to ensure the stability and growth of Buddhism as well as his own personal Buddhist practice. It was Lobsang Tamdin who first recorded this divine connection in his bebum (collected works), where he wrote about a vision he had had of Sakya Pandita, Lama Tsongkhapa and Panchen Lobsang Chokyi Gyaltsen. Emperor Kangxi was known to be the reincarnation of the great holy master Tulku Drakpa Gyaltsen and an emanation of Manjushri, the Buddha of Wisdom. Amongst countless examples of his faith, the most memorable are his five visits to the sacred mountain Wu Tai Shan and its Gelug temples. He also sponsored His Holiness the 7th Dalai Lama Kelzang Gyatso’s entrance into Kumbum Monastery, and even bestowed the golden seal of authority upon him. Out of the many written works he sponsored, a copy of the Dragon Sutra written with gold ink, documenting the concise Prajnaparamita teachings, is still preserved today. CHINA: Guangren Lamasery with its eight special treasures; Ganden Sumtseling, built by the Great 5th Dalai Lama during Kangxi’s reign, which houses eight gold-covered sculptures of Buddha Shakyamuni; Pule Temple, which is known as the Temple of Universal Joy; and Fayu Temple on Mount Putuo, a sacred site associated with Chenrezig. MONGOLIA: Amarbayasgalant Monastery, the final resting place of Emperor Kangxi’s spiritual mentor Zanabazar (1635 – 1723), who was the first Jebtsundamba Khutuktu – the spiritual head of Tibetan Buddhism amongst the Khalkha in Outer Mongolia. As per Imperial Chinese tradition, Emperor Kangxi had many sons in order to continue his bloodline. However, this created a prolonged struggle between the various princes in regards to who should inherit the Dragon Throne and rule over the vast Qing Empire. Kangxi had originally named Prince Yinreng (1674 – 1725) his heir and crown prince when Yinreng was just two years old. He showered his affection on Yinreng and took great pains to groom him for his future role as emperor. However, Yinreng was eventually disavowed the position after many instances of immoral behaviour and for planning a coup d’etat, after which he was placed under house arrest. 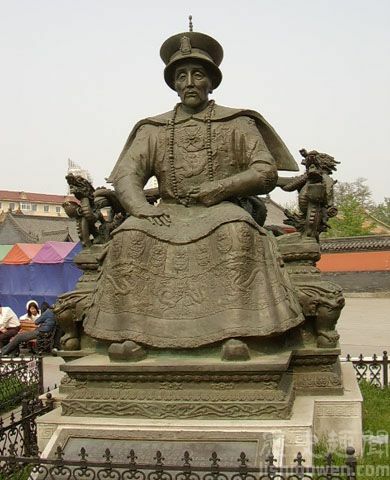 A copper statue of Kangxi. He is still highly revered by the people of China. 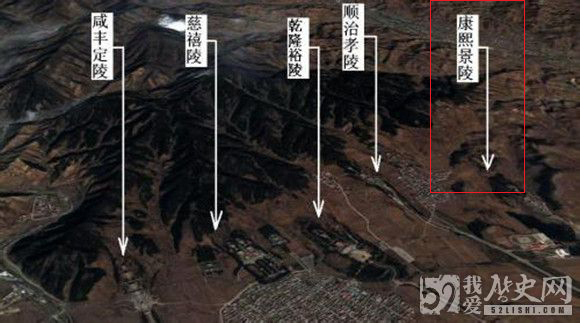 Following these events, the remaining imperial princes were divided into roughly two camps. 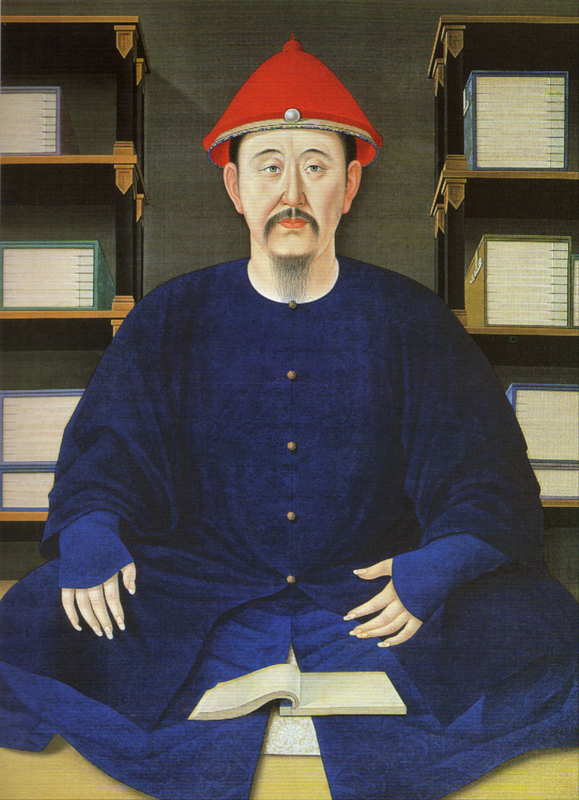 Some supported the 4thprince, Yinzhen (1678 – 1735), and were known as the Fourth Lord Party. The others supported the 14th prince, Yinti (1688 – 1756), and were known as the Eighth Lord Party, since Yinti was the eighth of the royal princes to have been awarded an imperial title. Worried that the issues of succession would destroy not only the imperial court but divide the country as well, Emperor Kangxi instituted a series of reforms that drastically changed the political workings of the empire. Of his 24 sons, some were stripped of their titles, others placed under house arrest, and those who were considered capable were sent on military campaigns to ease political conflict. 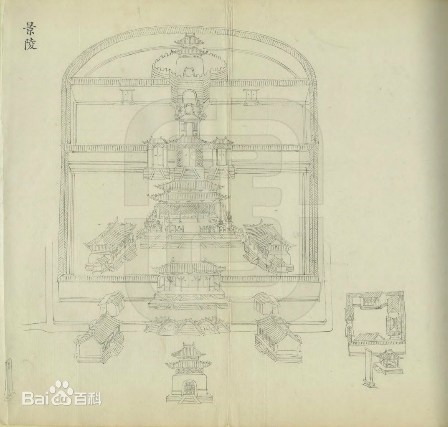 Rather than name a successor before his passing, Emperor Kangxi declared that he would instead place his instructions inside a box within the Palace of Heavenly Purity in the Forbidden City, which was only to be opened after his death. After having ruled the Qing Empire for 61 years, Emperor Kangxi passed away and was laid to rest in the Eastern Qing Tombs. 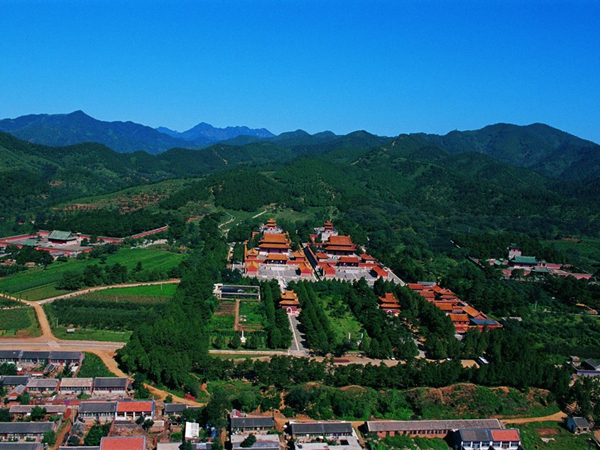 Located in Zunhua, Hebei Province in China, the Eastern Qing Tombs are listed as a UNESCO World Heritage Site. 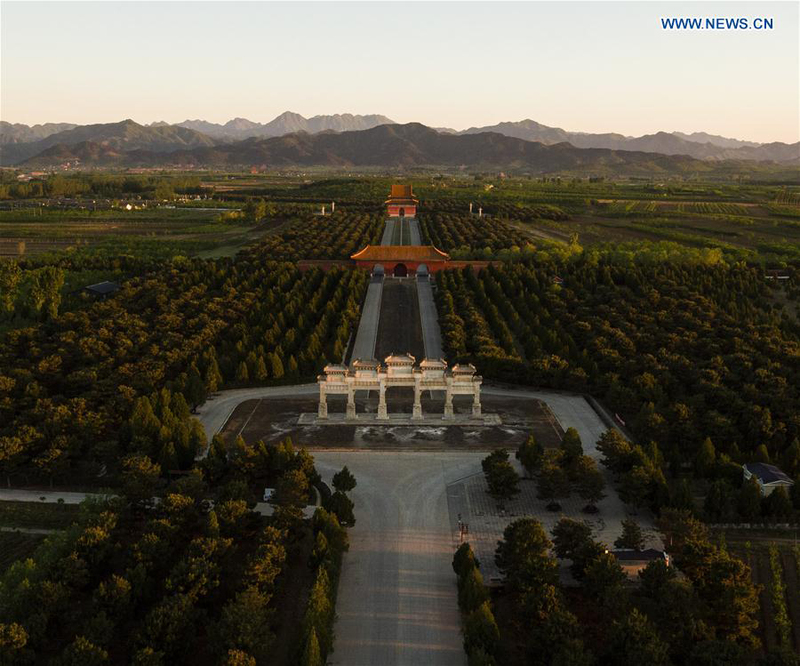 125 kilometres (78 miles) northeast of Beijing, the tombs are known to be the biggest, most complete and best preserved of all existing mausoleum complexes in China today. 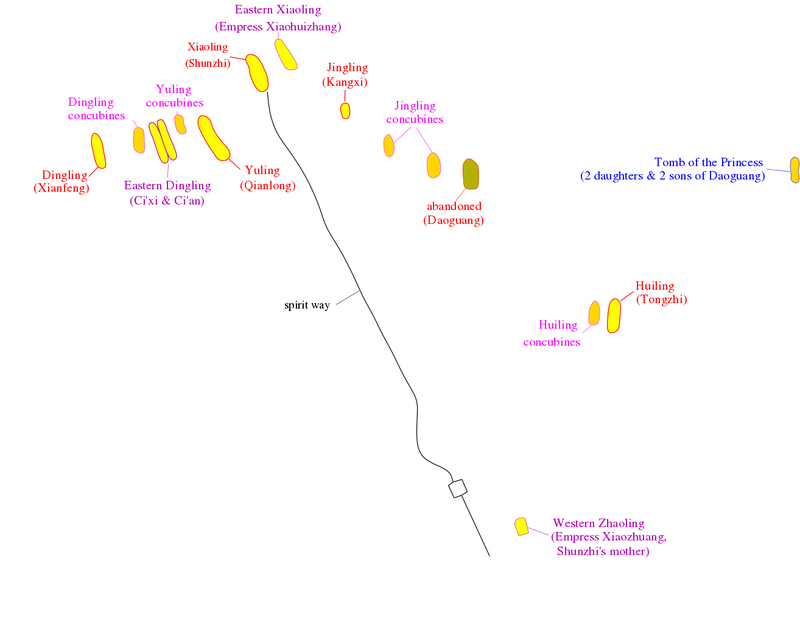 A map depicting the Imperial Eastern Qing Tombs. Click to enlarge. 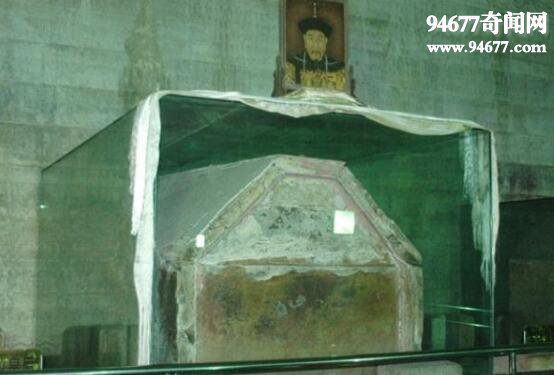 The tomb at the centre of the complex is known as Xiaoling, the first tomb to be built here. 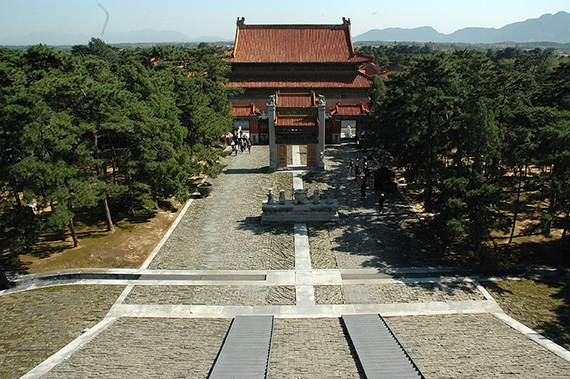 This is where Emperor Shunzhi is buried, together with Empress Xiao Kang Zhang (the mother of Emperor Kangxi), and Imperial Noble Donggo (consort of Emperor Shunzhi, who was posthumously bestowed the title of Empress). The other tombs within the complex mirror the pattern laid out by the central Xiaoling tomb. This layout consists of a spirit road (an ornate road leading to the tomb, with statues and pillars along its route), palaces and offering kitchens. 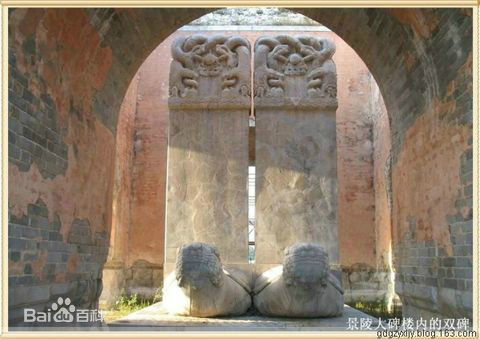 Thespirit road at Xiaoling is the most elaborate and includes archways, decorative gates, halls, statues and various bridges, carved with dragon and phoenix designs. The palace section includes halls of various sizes, areas for court officials, various government buildings, ornate gates, memorial towers, stone altar pieces, a precious citadel and even an underground palace. The offerings kitchen, located to the left of the palace section, consists of kitchens where sacrificial food was cooked, and warehouses to store the offerings. 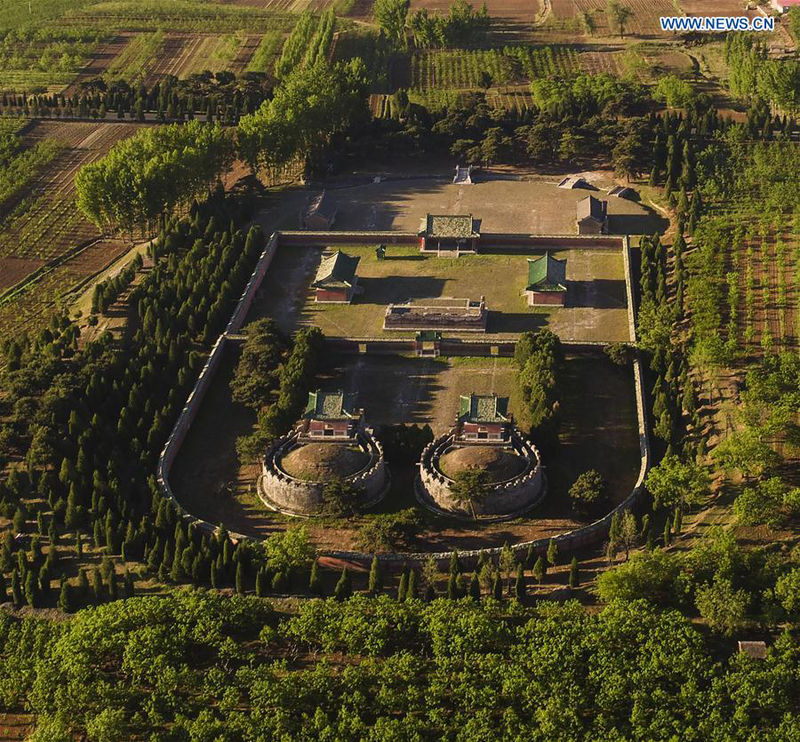 The tomb of Emperor Qianlong is perhaps the most beautiful of all imperial tombs throughout Chinese history, and includes a series of nine vaults that are separated by four solid marble doors. The marble gates, walls and vaulted ceilings are all carved or painted with Buddhist images such as the 24 Buddhas, the Eight Bodhisattvas, the Four Heavenly Kings, and more than 30,000 words of Tibetan and Sanskrit scripture. 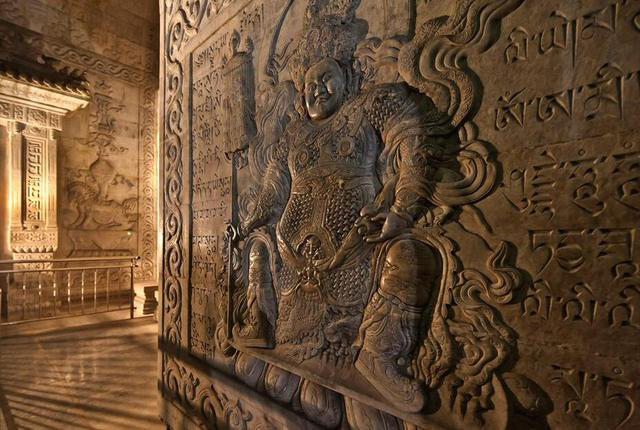 The solid marble doors, themselves carved with reliefs of various Bodhisattvas and the Four Heavenly Kings, weigh a staggering 3-tonnes each. One of the most luxuriously decorated, this tomb includes numerous halls, three of which are embellished with gold-coloured paintings, gilded dragons and carved stone rails. 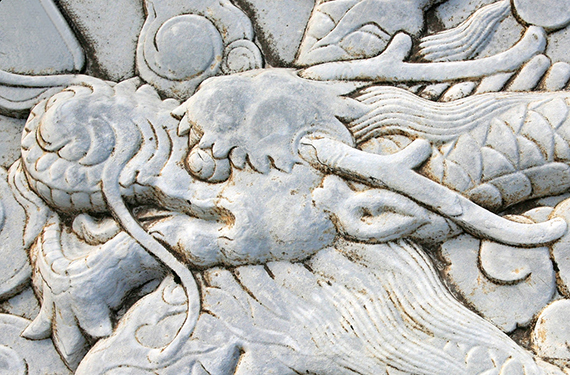 All over the exterior are reminders of the Forbidden City, including corner spouts on the terrace carved as dragons. The interior features are painted in gold on dark wood, in remembrance of the building in which the Empress Dowager spent the last years of her life. 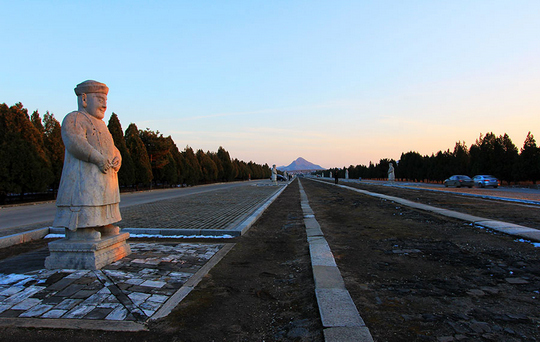 Located to the east of the spirit road leading to Emperor Shunzhi’s final resting place, this tomb houses the remains of his mother. The Empress Dowager was thought to have played a key role in consolidating authority during the early Qing Dynasty. 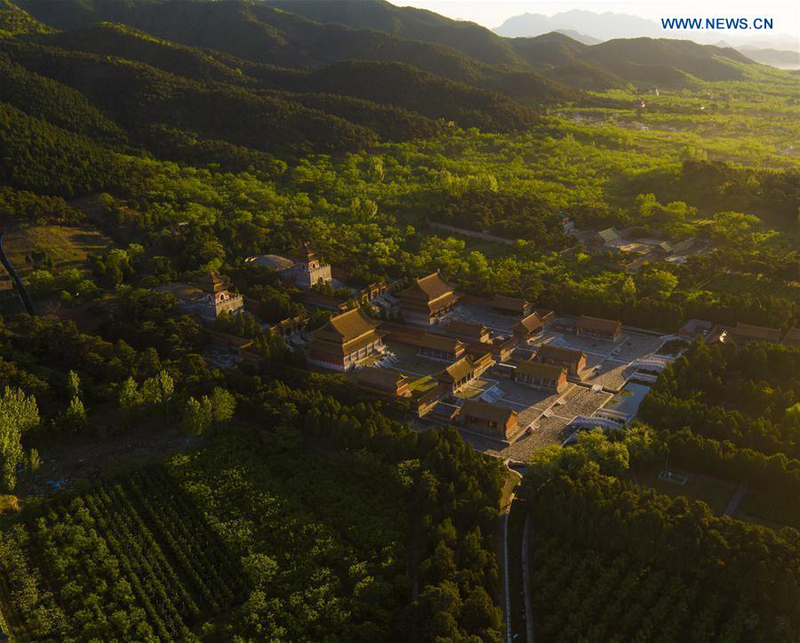 At first, the tomb was constructed as a resting hall under the direction of Emperor Kangxi, who was her grandson. 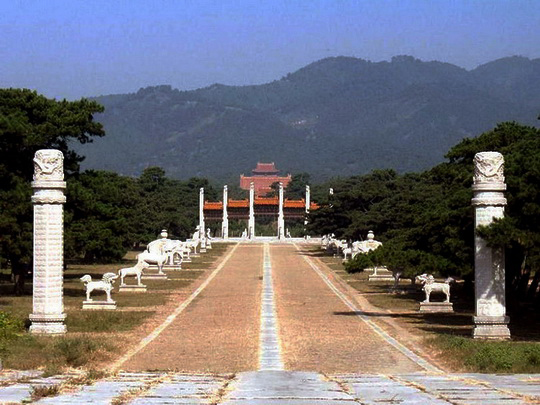 But Emperor Yongzheng had it converted into a mausoleum in 1725. 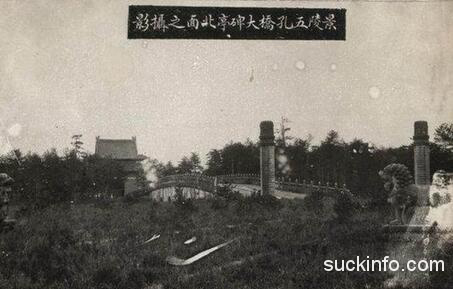 Although Emperor Kangxi is possibly the greatest of the Qing emperors, his tomb is surprisingly modest. However, when considering his character, this is very much in keeping with his humble attitude. He did, in fact, decree that his tomb should be humble and simple. The spirit road, one of the most significant features of Jingling, contains a graceful five-arch bridge and there are guardian figures close to the tomb itself, which are more decorated than those of the earlier tombs in the area. 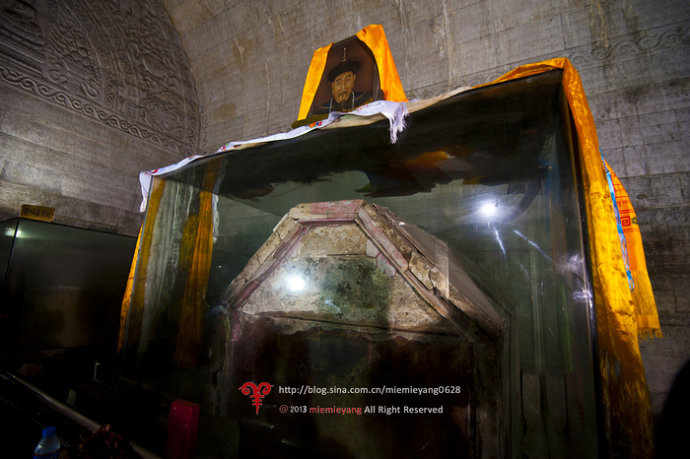 Emperor Kangxi’s tomb also mirrors his deep faith in the Buddhas and Buddhist teachings. 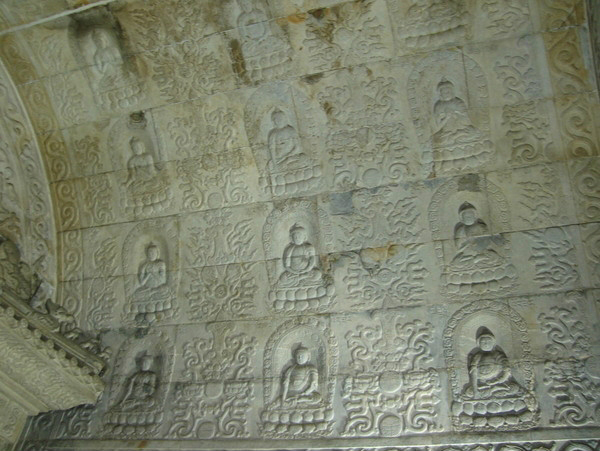 The walls of his tomb are carved with images of the 35 Confessional Buddhas and other Buddhist deities. The construction of Jingling began in 1676 and ended in 1681. 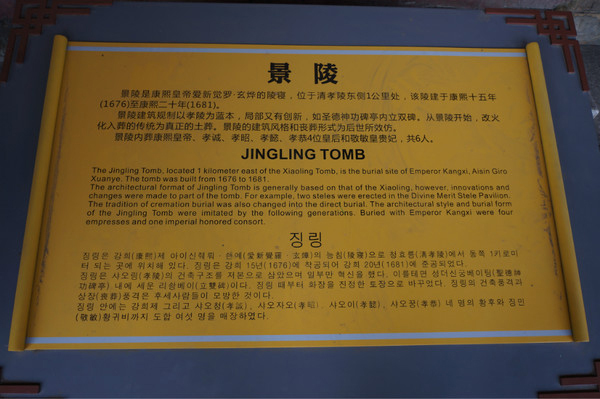 Emperor Kangxi had set strict rules for how the tomb should be built and used. This included the proclamation that if the empress died before he did, that she would be buried first but that the door of the underground palace would remain open until the emperor himself was buried. This was in contrast to the usual procedure which would ensure that the doors of the tomb would be shut as soon as the intended occupant was interred. 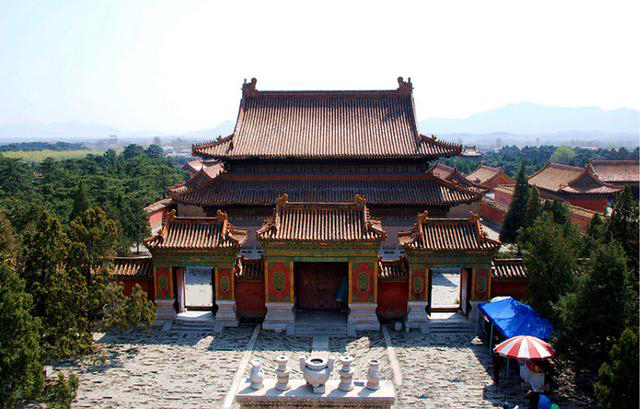 Emperor Kangxi’s tomb has since become a pilgrimage site for practitioners of the Buddhist faith, owing to his great patronage of the Dharma and the fact that he is considered to be an emanation of Manjushri and a reincarnation of Tulku Drakpa Gyaltsen. Up to this day, offerings of khatas can be seen draped over his tomb in front of his portrait. A map showing the locations of the various tombs. Jingling lies on the right. A map of the tombs. 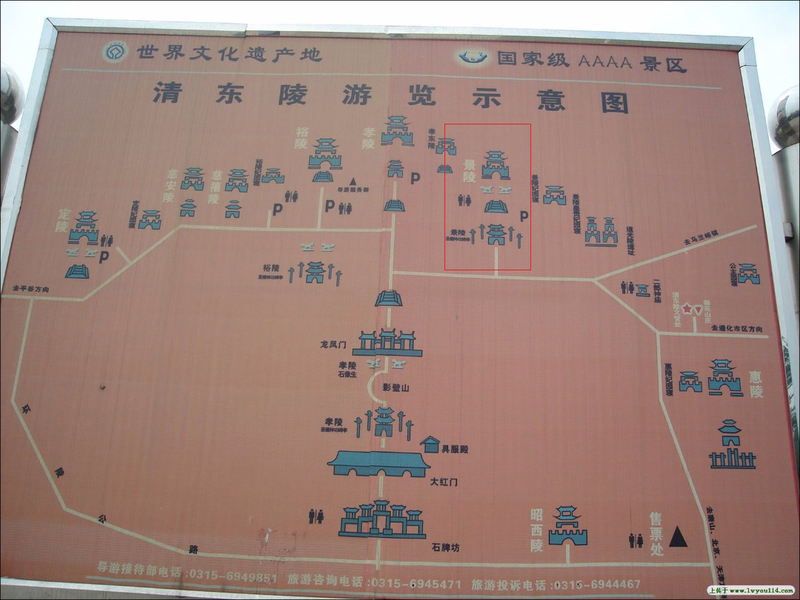 The tomb of Emperor Kangxi is highlighted in red. 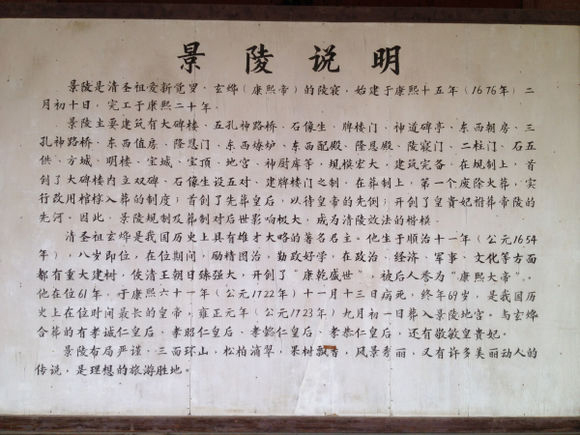 Many khatas are left by pilgrims who respect Emperor Kangxi’s achievements. While so many other rulers throughout history have only thought of themselves, Emperor Kangxi lived his life focused on the welfare of his country. During his reign, peace, harmony, prosperity, literary development and patronage of the Dharma was outstanding, the likes of which have rarely been seen in the world since. His achievements stem from his expert rule of the country, his compassionate attitude and his hard work ethic. 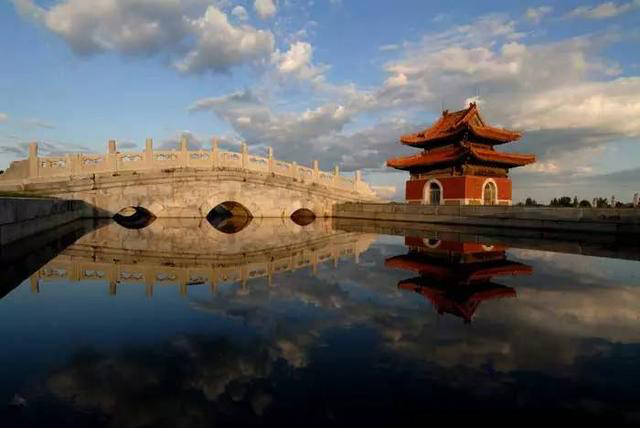 He was so beloved by his people that those who lived during his time credited the Kangxi Emperor in their stories, writings, poetry and folk lore, which has since been passed down through the generations. All in all, Emperor Kangxi ruled according to the Buddhist teachings of love, kindness, tolerance, wisdom and hard work. It was during his reign that religion, art, literature, culture and science flourished throughout the Qing Empire. And it is a testament of his political astuteness, scholarship and selflessness that even until the present day, the people of China still continue to regard him as one of the greatest emperors to have ever ruled China.